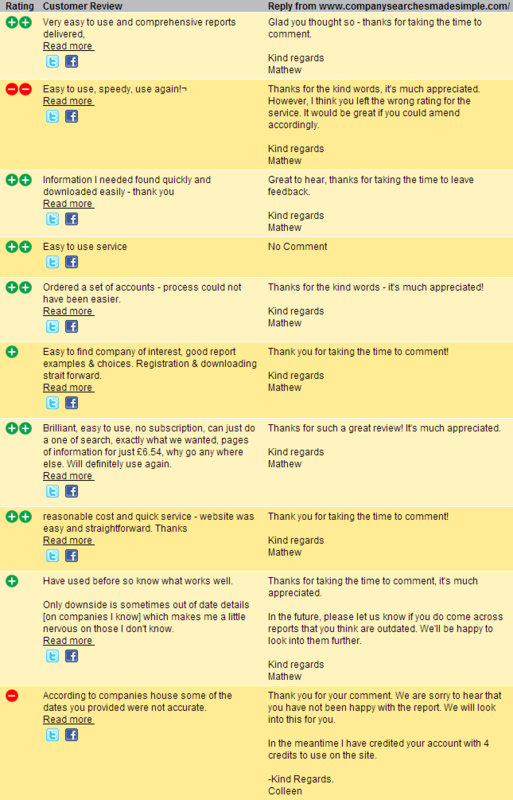 Feefo is an independent reviews site that allows our customers to leave feedback about our company credit check services. As well being handy for dealing with any issues that we were unaware of, it’s also another platform for customers to ask questions regarding our products. In this series of blog posts, we are going to a look at a recent Feefo question and answer it (don’t worry; we’ll always have left a response on Feefo beforehand!). Let’s get started. I wanted to find out all the current directors of the companies. How do I do this? This entry was posted in Director Search, Feefo on April 16, 2014 by Mathew Aitken. Feefo is a ‘customer review and feedback system for service and products’. After a purchase is made on any of our sites (Companies Made Simple, London Presence, Business Training Made Simple and here on Company Searches Made Simple), we ask our customers to anonymously give us a rating and review. We then have the opportunity to respond to the review. 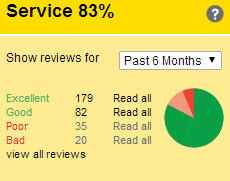 Ultimately we use these reviews to tailor our service. At the moment all reviews are accessible directly from Feefo, and now we’re going to start publishing the most recent Company Seraches Made Simple reviews (positive and negative) here on the blog too. We’ll publish more reviews in the coming weeks! This entry was posted in Company Accounts, Company Credit Check, Company Document, Company Report, Company Search, Company Tracker, Director Search, Feefo, Subscription Packages on January 21, 2014 by Mathew Aitken.